Most people don’t know how easy it is to make their homes run on less energy, and here at Realty Inspection Services, we want to change that. Drastic reductions in heating, cooling and electricity costs can be accomplished through very simple changes, most of which Home owners can do themselves. Of course, for Home owners who want to take advantage of the most up-to-date knowledge and systems in home energy efficiency. Federal, state, utility and local jurisdictions’ financial incentives, such as tax breaks, are very advantageous for Home owners in most parts of the U.S.
1. Find better ways to heat and cool your home. Set thermostats to an appropriate temperature. Specifically, they should be turned down at night and when no one is home. In most homes, approximately 2% of the heating bill will be saved for each degree that the thermostat is lowered for at least eight hours each day. Turning down the thermostat from 75° F to 70° F, for example, saves approximately 10% on heating costs. 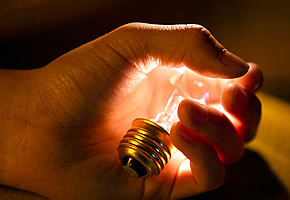 CFLs use 75% less energy and last approximately 10 times longer than traditional incandescent bulbs. Sealing and insulating your home is one of the most cost-effective ways to make a home more comfortable and energy-efficient, and you can do it yourself. A tightly sealed home can improve comfort and indoor air quality while reducing utility bills. An Realty Inspection Services energy auditor can assess leakage in the building envelope and recommend fixes that will dramatically increase comfort and energy savings. Seal up the attic access panel with weather stripping. You can cut a piece of fiberglass or rigid foamboard insulation in the same size as the attic hatch and glue it to the back of the attic access panel. If you have pull-down attic stairs or an attic door, these should be sealed in a similar manner. Windows can be weather stripped with a special lining that is inserted between the window and the frame. For doors, apply weather stripping around the whole perimeter to ensure a tight seal when they’re closed. Install quality door sweeps on the bottom of the doors, if they aren’t already in place. Don’t use the medium setting on your washer. Wait until you have a full load of clothes, as the medium setting saves less than half of the water and energy used for a full load. Homeowners who take the initiative to make these changes usually discover that the energy savings are more than worth the effort. Realty Inspection Services home inspectors can make this process much easier because they can perform a more comprehensive assessment of energy-savings potential than the average homeowner can.